See this notebook for more examples. 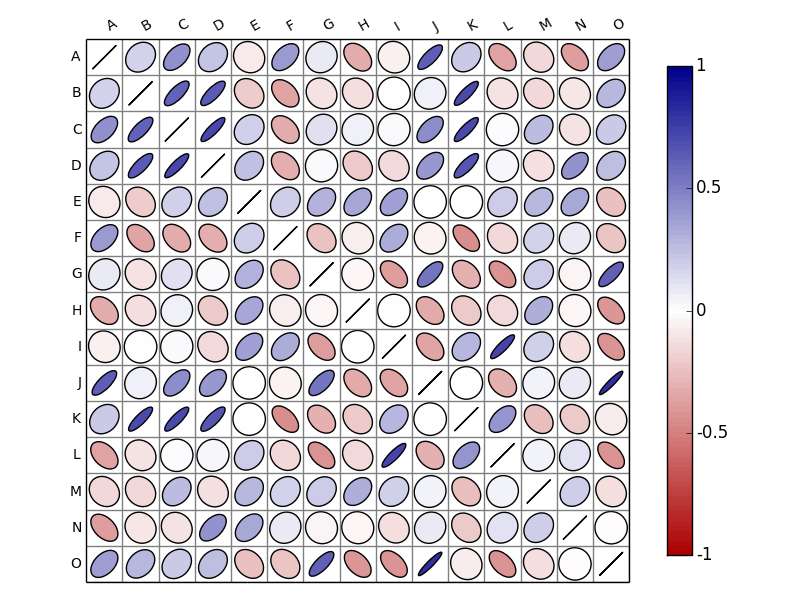 This entry was posted in Python and tagged biokit, matplotlib, pandas, visualisation. Bookmark the permalink. I am a researcher working in Oceanography. I find the corrplot very usefull, May I know if there is a way to mark the significance like in the case of R. corrplot? http://nbviewer.ipython.org/github/biokit/biokit/blob/master/notebooks/viz/corrplot.ipynb it is probably not implemented. how could I save the figure into a file such as png or pdf?